Grosgrain: Super Bubble Formula....Mwuah Ha Ha! Super Bubble Formula....Mwuah Ha Ha! Yesterday Molly and I spent the day blowing bubbles. Literally the whole day. I felt like a mad scientist mixing and heating brews trying to create a bubble solution that made bubbles we could touch. Like in this video. I followed all the steps to a T but mine never were that strong:( But they were still heftier than your run of the mill bubble. You could bounce two bubbles off each other and they wouldn't pop in the grass. UPDATE: If you wet your fingers you CAN hold them like in the video. First, add one pack of gelatin to the hot water. Stir until powder has fully dissolved. Second, add 2 oz of glycerin and finally add 8 ounces of Joy dish detergent. I've read that Johnson's Baby Shampoo is better but I didn't have any on hand to try. Stir all ingredients together. Our bubbles survived the grass! They were so thick that they stained the cement! 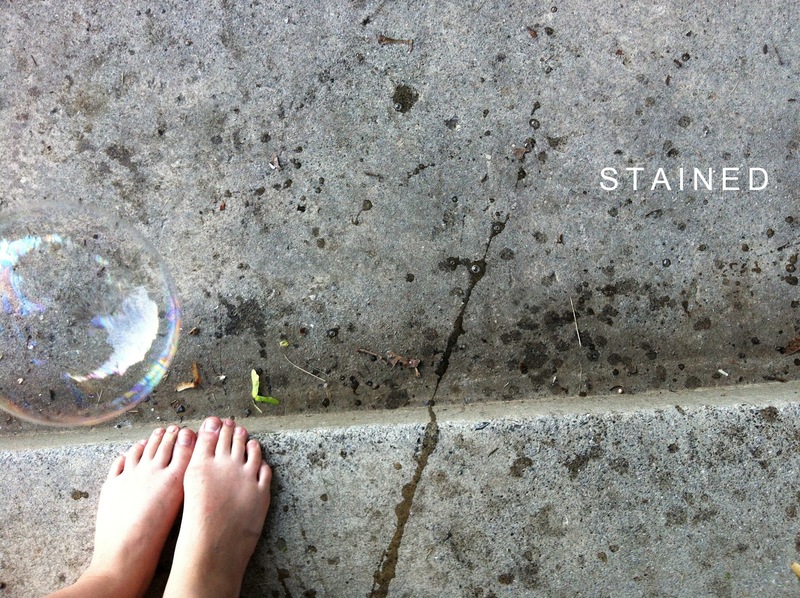 So just remember NOT to do it in the house and to wash down any surfaces that you don't want bubble remains on. We made two solutions. The second one, with the ingredients that I listed above and another one that in which I doubled the gelatin and glycerin. The second one (the more yellow solution on top) was far more gooey. You'd think it would make stronger bubbles but honestly, there was little difference between the two. I guess it's appropriate that we're celebrating a summer activity since it's Molly's last day of school today. Oh, she'll be so sad! This looks like fun! I can't wait to try them! Love it! Looks like great project for me to entertain my 6 nieces! I am babysitting 3 of the 6 grandkids this Friday...definitely going to try this recipe...thanks for sharing! 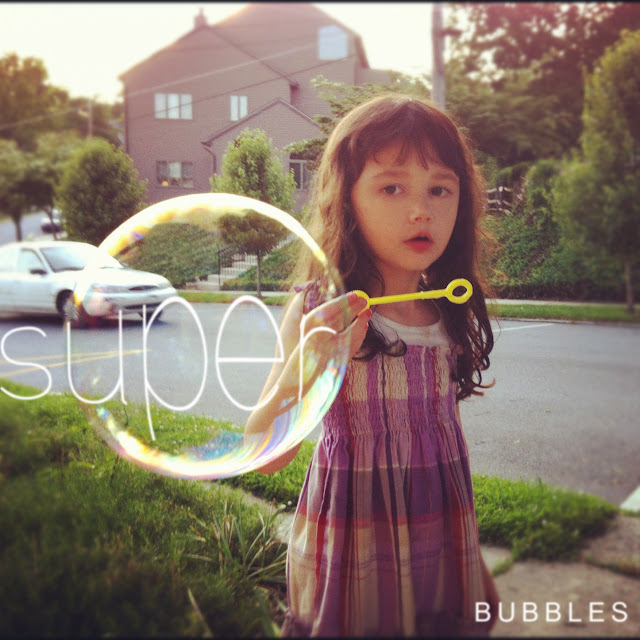 this is great..my kids love bubbles. how much water did you use for this recipe please? CUTE POST:) Your blog is great and I will happily follow. @BeckyOh yes, sorry I didn't mention that, one cup. It really takes a lot to find the proper formula, but it's worth trying! The visit was useful. Content was really very informative. From www.cakestoindia.com.